In the aftermath of an electric blanket fire, one of the important things for affected people to do will be to file fire insurance claims with their insurers to get compensation for the damage done to their homes. Policyholders can find themselves fighting insurers for payouts for their legitimate home fire claims. It’s not uncommon that insurers will practice bad faith to try to avoid paying policyholders the full amount of (or any) compensation for their fire claims. Turn to the attorneys at the Law Office of John Gehlhausen for help securing the payouts they deserve. In this three-part blog, we’ll highlight some of the most common warning signs of insurance bad faith when it comes to homeowners’ fire insurance claims. Being familiar with these warning signs can help you know when it’s time to challenge insurers and fight for your rights to compensation. Sign 1 – The insurer is contending that you don’t have an active homeowner’s policy. When insurance companies may be looking to outright deny your claim regarding the damage caused by an electric blanket fire, one of the things they may try to do is contend that you don’t have an active policy with them. This is a specific type of bad faith practice that is known as post-claim underwriting. With this type of bad faith practice, insurers may try to allege, for instance, that you missed or were late paying a monthly payment or that you didn’t renew your policy when it expired at some point in the past. 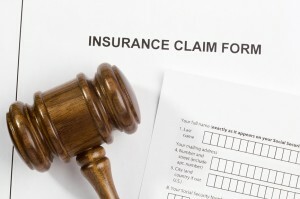 Their homeowners’ and fire insurance policies are legal contracts that the insurer must honor. When insurers have been collecting payments on their policy and have not informed the policyholders that they no longer have a policy, then policyholders can reasonably assume they have an active policy. In these cases, it will be important to prove that policyholders do, in fact, have an active policy with insurers and, consequently, that insurers are legally obligated to hold up their end of these contracts. Bank statements proving payments to insurers can be crucial evidence in these bad faith cases. Be sure to check out our second and third parts of this blog for more info regarding the warning signs of insurance bad faith with electric blanket fire insurance claims. Copyright © 2016 Warshauer-McLaughlin Law Group. All Rights Reserved.